Monster Hunter has come a long way in the past 8 years. Starting its humble beginnings on the PlayStation 2 with the original Monster Hunter released in 2004, it received mixed results from major publications, though it gained a cult following for its challenging but fair gameplay that had a steep learning curve. For the majority of its life this trend continued, even when it blew up in popularity in Japan when the franchise moved to the PSP with the Freedom series. Many critics in the West feel that the first missions that act as a tutorial are lacking, almost tacked on, with little to no explanation or a proper introduction to the game mechanics. More complaints would go towards the ramped-up difficulty when monsters like Rathalos are introduced, the game being too reliant on trial and error, and of course no-lock on feature. Many cite such problems as the reason why it never truly went off in the West, and some say that its appeal in being difficult will keep it obscure and niche as the franchise that can never grow and making new players hesitant to give the franchise a chance. Though like the Souls franchise, there is always the community that steps in to help; and when it comes to the Monster Hunter community, there are no better examples than the two which bring us here right now. Roy Blakely and Sarah O’Donnell are huge Monster Hunter fans in the West, starting a podcast called “My Fair Hunter,” which debuted back in July of 2011. The weekly podcast episodes have the two playing Monster Hunter Tri and showing new players strategies on how to deal with the wide array of monsters, the game mechanics, the advantages and disadvantages of each weapon, how the community expects new players to act accordingly when in a party online, and so much more. 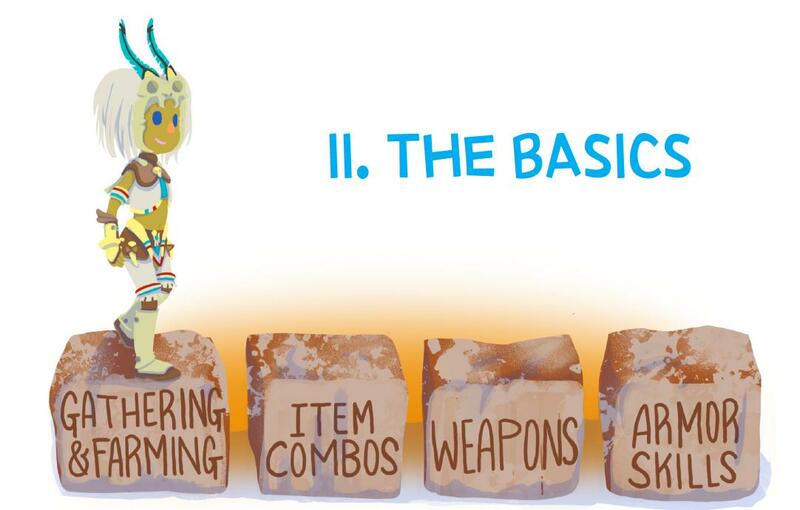 With over a year of showing gamers the ropes of Monster Hunter Tri, they decided to put all their experience and knowledge of the series in the form of a handy dandy guide book called “Monster Hunter Beginner’s Guide.” The guide itself is an attempt to acclimate or ease new players into the franchise. Does the guide book have what it takes to do just that? Let’s take a look. The guidebook starts off with a brief backstory on how Roy first became aware of the series when he was living in Japan years ago. Following that is a brief history lesson on the Monster Hunter series, from it becoming a force to be reckoned with in Japan, to his opinion on why the series hasn’t left the niche status in the West. Right off the bat I can say I was impressed; while brief, it shows the writer knows his stuff — which is a great way to start off a guide of a game that has caused much confusion, even to fans of the series. The book is divided into sections, starting off with the basics; everything from gathering/farming, item combinations, weapons, and armor skills. Gathering & farming gets a small demonstration of how it works, which makes sense since it doesn’t require the most hands on compared to the rest. Item combination gets a small section of its own, but what makes it different is that instead of having an entire graph that takes up many pages, they opted to have a separate fold-out page that contains a single giant graph. I thought this was a simple yet great idea as there are many basic items that every new player should utilize and take advantage of. At first glance it all seems very simple, but you will quickly discover how in-depth the guide book goes when explaining the core gameplay mechanics of the Monster Hunter franchise. The ‘Gearing up’ section is primarily for weapons & armor skills. It’s probably the most detailed section of the book since this is where most new players have gotten lost. It explains the differences and advantages/disadvantages regarding both ‘Gunner’ and ‘Blademaster,’ as well as armor class, armor attributes, upgrading gear, and learning how to properly use each weapon. This is my favorite section, as it is in my opinion the most thought-out portion of gameplay mechanics that is covered in the guide book and the community. It’s simple enough for a novice to understand after reading the material given and trying out the tips for him or herself in a game session or two. The guide book goes into detail on both the single player aspect and multiplayer aspects for the mission preparation, the quest objectives themselves, map layouts, and of course on how to deal with the different types of monsters you will face. For beginners and intermediate players, this section is a must — as the online players, like any out there, can have a short fuse for those who are too impatient and jump into the action without any thought. Remember, an art cover is just an art cover, you can play single player and get the job done. But when it comes to online, teamwork is a must – especially when you rank up higher for the even harder monsters, some of which are exclusive to online play, which the guide book goes into at the end. Besides the graphs that each major section differs in presentation, there are also interesting tidbits that accompany most of the important sections to help further expand upon the given explanations. 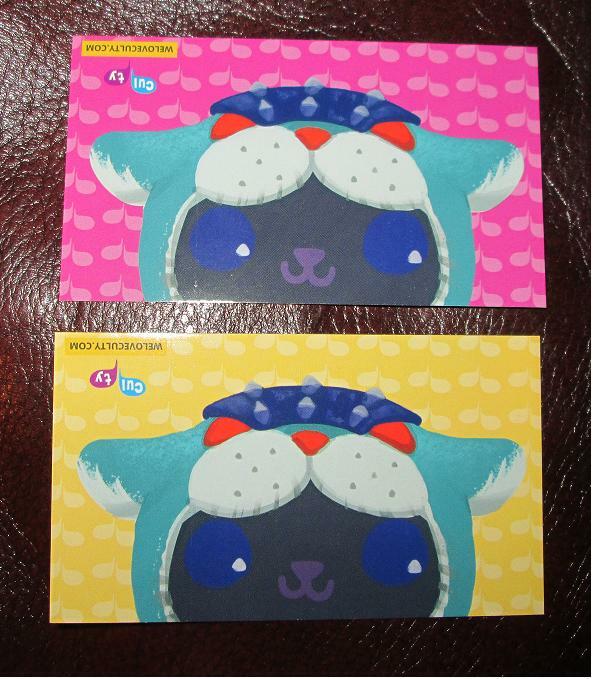 These are highlighted in yellow boxes that are accompanied by the game series’ trusty pet mascot, Poogie (the pig that has been featured in every single Monster Hunter game to date). What’s even better is that the writer also included tips from the community themselves. Straight to the point and very effective information for new players, they point out the differences in versions or what feature is included or not included in that version. It’s extremely helpful, especially with entries in the second generation, which has four iterations and each entry has at least one add-on/expansion. Whether they’re always improvements is up to debate, they add or remove features, which the guide book points out. So while the guide book primarily talks about Monster Hunter Tri for the Wii, I think of it as the writer using it as a good example, as every game in the series, at its core, is roughly the same when it comes to the primary gameplay elements. These being controls, character builds, memorizing monster attack patterns, using teamwork to fight off beefed-up online versions of the monsters and so on. I wished they could have had even more. Heck, I would’ve loved it if they had strategies for each individual monster. But even without that, the guide book is brimming with content when it comes to the gameplay mechanics and learning curve, which are the aspects that scare off players – besides the tough monsters. The digital format comes in a .pdf file that has all of the pages the physical book has, including the item combination page in a separate .pdf file. The digital version is well produced, with the art and writing not suffering the conversion and it is equally as well presented as the physical version. The printed guidebook consisted of 60 pages with the nice glossy paper and a simple binding that holds the pages together surprisingly well. The guide book covers every single Monster Hunter title to date; so as mentioned above, it’s not just Monster Hunter Tri. Also stated above, each section is divided by large sections that have depictions of art work and illustrations by Sarah, which as you can see are colorful and very cutesy depictions of Monster Hunter created characters with different sets of armor. 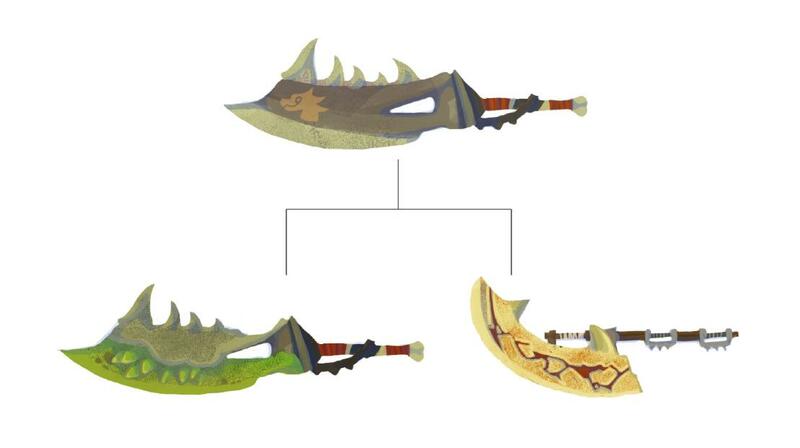 Each section gets their own depictions of Monster Hunter-themed scenarios as well as helpful guides, like showcasing a weapon upgrade path, Poogie himself, and character actions like chucking an explosive barrel to name a few. The art has that playful and comforting feel that introduces the information in a light, welcoming tone so new players won’t get intimidated at first with such adorable art that coincides with almost every page. 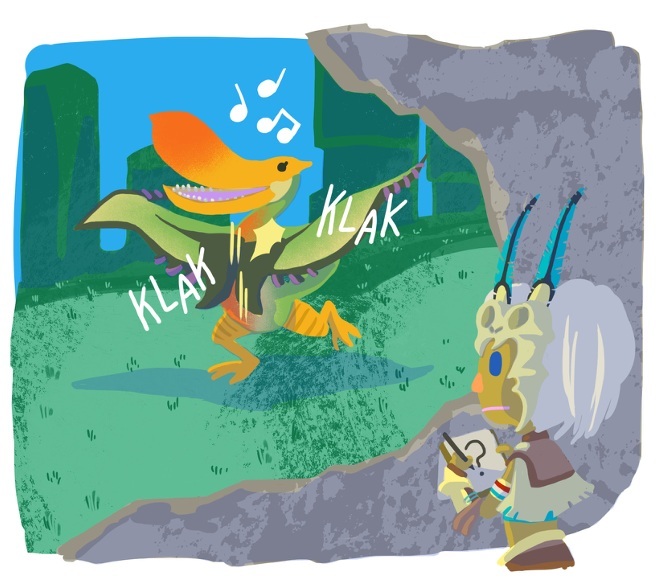 The Qurupeco and the Barroth are shown for examples on how to telegraph a monster’s behavior or status effect that was inflicted. My only complaint is that I wished there were more of these art pieces scattered throughout the guide book. The book uses the standard white color palette, which is a little disappointing given how lush and colorful the games that the book is based off are. Since this is more of a guide than an art book, I will let it slide. With the content in hand, the book has that theme going as it’s small in structure, but very informative, like a really small guide book you can hold in one hand while on a nature walk. The printed version gets two exclusive offers! The end product is a streamlined version of their existing podcast – and it works very nicely. 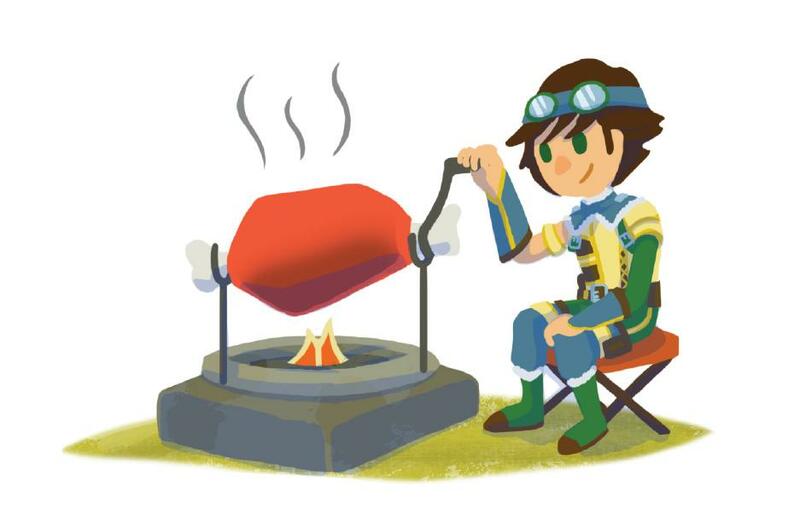 An enlightening read for gamers who haven’t yet jumped onto the Monster Hunter train. Those who have, like myself, can still find enjoyment from reading this. Like a kid in a candy store, I wished I could have had more, more strategies and fine art, but for what I got I simply loved it. It shows the level of dedication you don’t see very often when it comes to video game fandom; the work they put into their podcast and now the guide book in the writing, info gathering/sorting, community input, and art is staggering. All I can say is I am impressed! It may be a hard sell for those who would rather just look up a guide, do a simple Google search for the game’s wiki page, or just simply watch their podcast episodes (which I recommend you do anyway, since they’re very informative and entertaining to watch). But for those who want a simple but exemplary explanation or simply want another piece in your collection for you Monster Hunter nuts out there, this fan-made book is worth it! 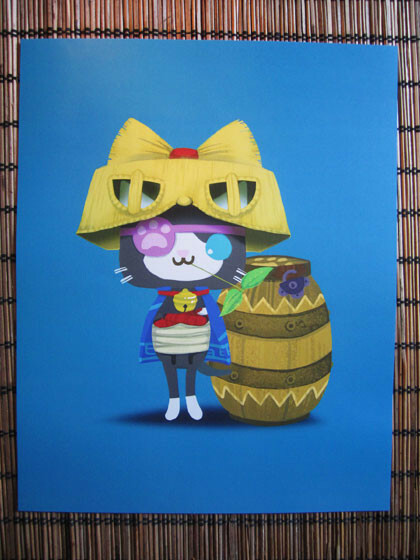 You can purchase your own digital or printed versions through the links! Like the art? In addition to the guide, there is a collection of art drawn by Sarah O’Donnell who is responsible for the comic called Rumbirds available separately or in bundles with the book. Physical and digital copies were provided by the publisher for this review.